Broadshield Custom Homes and Contractors believes in giving our customers a unique way to combine their living spaces with their working spaces. 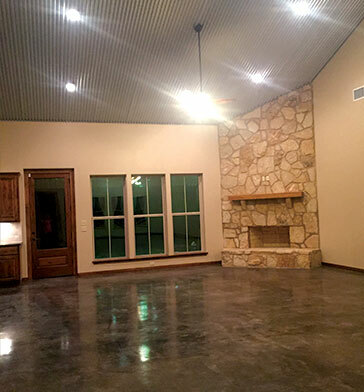 While traditional houses are wonderful, our barndominiums take that country feel to a whole other level, combining both your residential and recreational spaces into one construction project. Because your home and your barn have the same roof and walls, it cuts back on overall construction and utility costs as a whole. The efficiency of your barndominium will not only help to reduce bills but will also make daily life easier. Our goal is to give you a large living space that is made to fit your lifestyle. At Broadshield Custom Homes and Contractors, we can help you turn your homeownership dreams into your reality. Custom made exactly the way you imagined, your metal home will meet your needs. On top of combined efficiency, metal houses have more options when it comes to insulation compared to wood framed houses. Because you can choose what type of insulation you would like, it gives you the reassurance you need to know that your barndominium will stay warm all winter long, not to mention that you can insulate the actual roof instead of just the ceiling. Barndominiums do not have asphalt shingles like most traditional wood framed houses, allowing for summer temperatures to reflect off the metal roofing, keeping your home cool during the hot summer months.